In a mix of English and Spanish, Huerta writes poems that reflect the experiences of undocumented immigrants in the U.S. This debut poetry collection is the winner of the University of California-Irvine’s Chicano / Latino Literary Prize. In his poem Toward a Portrait of the Undocumented, Javier O. Huerta writes, “The economy is a puppeteer / manipulating my feet. / (Who’s in control when you dance?) / Pregnant with illegals, the Camaro / labors up the road; soon I will be born.” Sharing similar experiences with the more than 11 million undocumented people who live in United States, Javier O. Huerta struggles with his own sense of loss, caught between his life here and his past in Mexico. “Soy nadiense,” he writes in another poem—I am from nowhere. Winner of the University of California-Irvine’s 2005 Chicano / Latino Literary Prize, this debut collection marks the arrival of a vibrant new voice in Mexican-American literature. 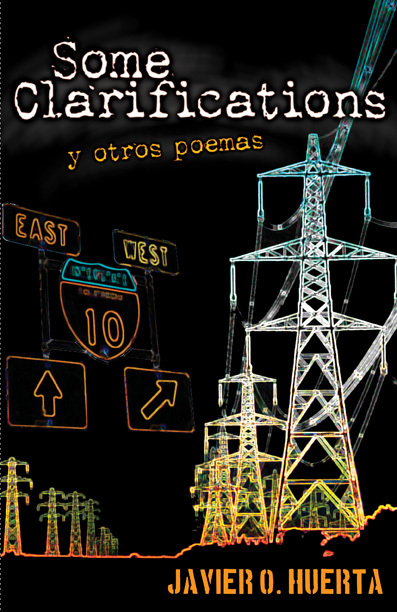 JAVIER O. HUERTA’s poems have been included in numerous anthologies, including Red, White, and Blues (University of Iowa Press, 2004), and journals such as Punto de Partida at the Universidad Nacional Autónoma de México. A native of Nuevo Laredo, Mexico, he currently lives in the San Francisco Bay Area where he is working on his doctorate in English at the University of California, Berkeley.